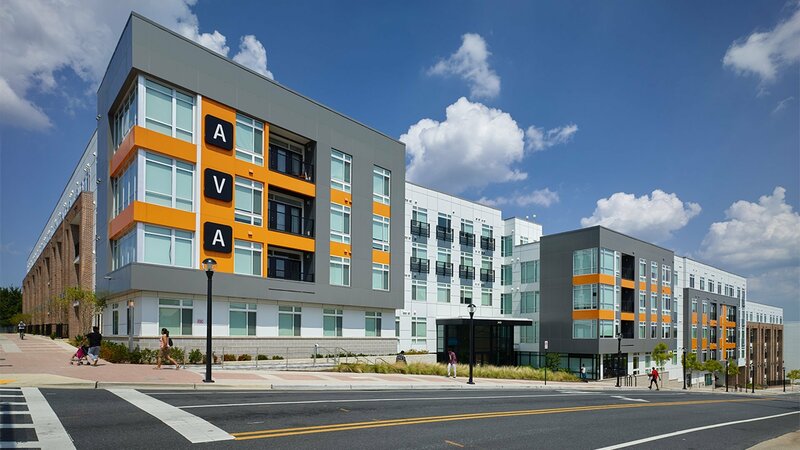 Hord Coplan Macht designed a new, 319-unit apartment building in the arts and entertainment district of Wheaton, Maryland. 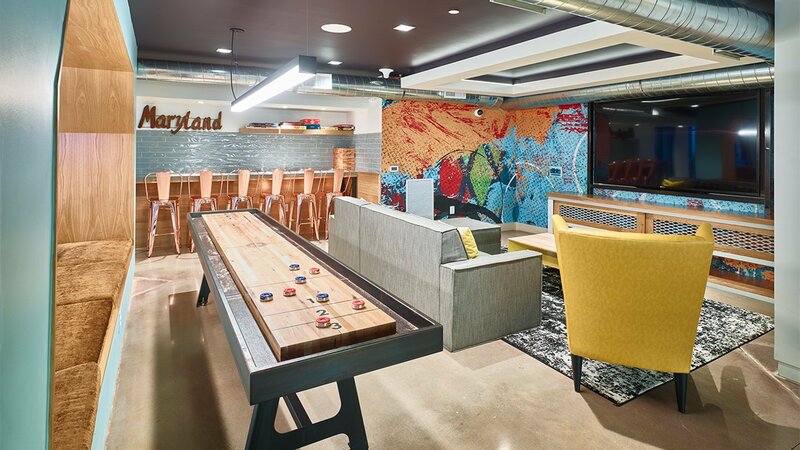 Amenities include a fitness center, outdoor swimming pool, a landscaped courtyard, as well as a leasing center which wraps around the perimeter of a multi-tier 430 space parking garage. 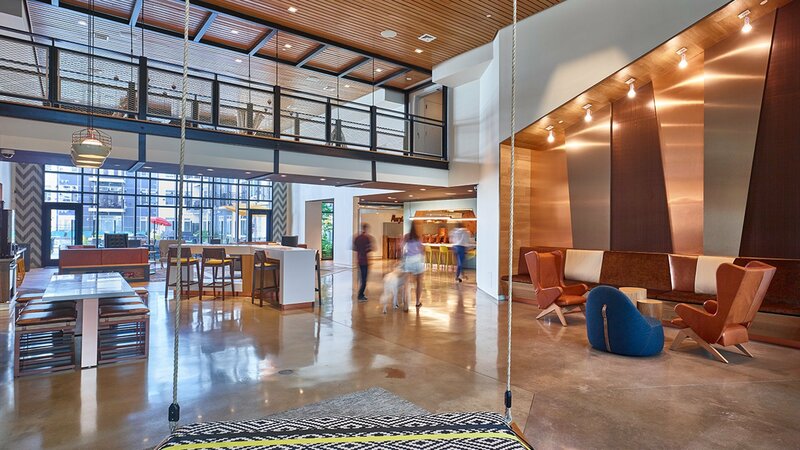 The outdoor amenity spaces are contained within two interior courtyards that include both landscape and hardscape features.